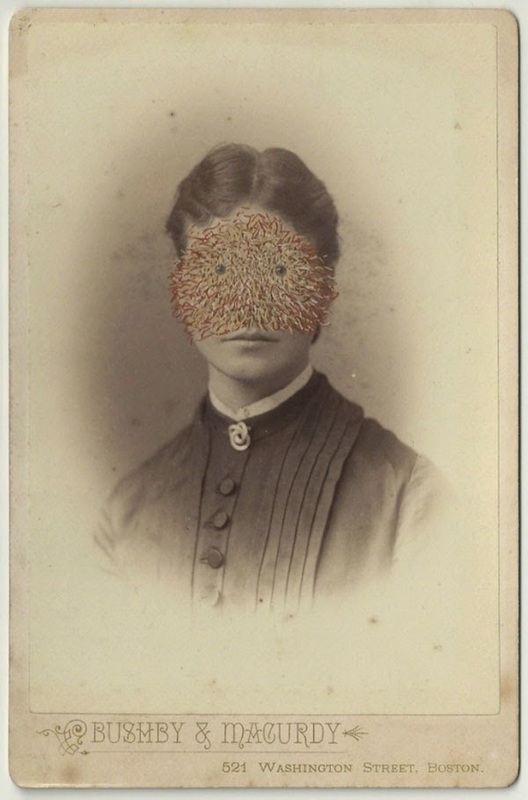 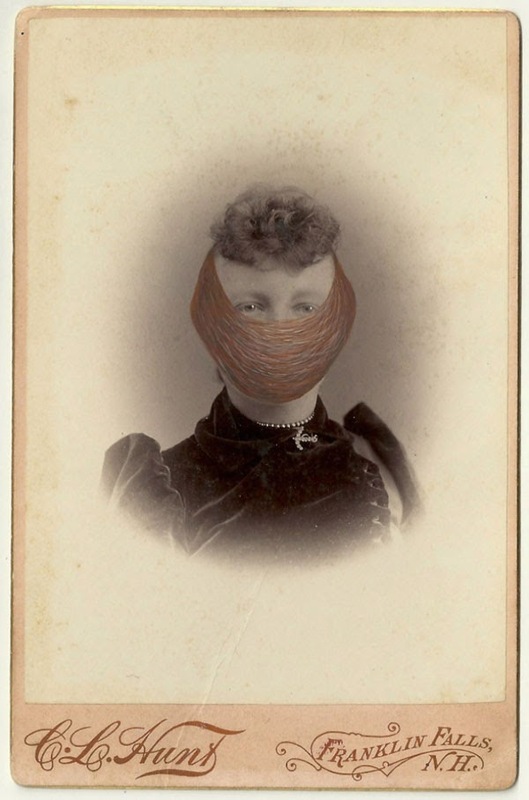 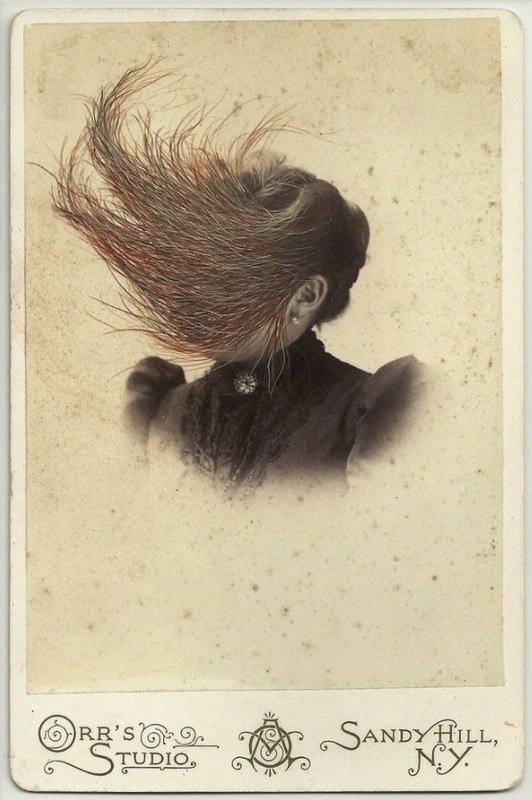 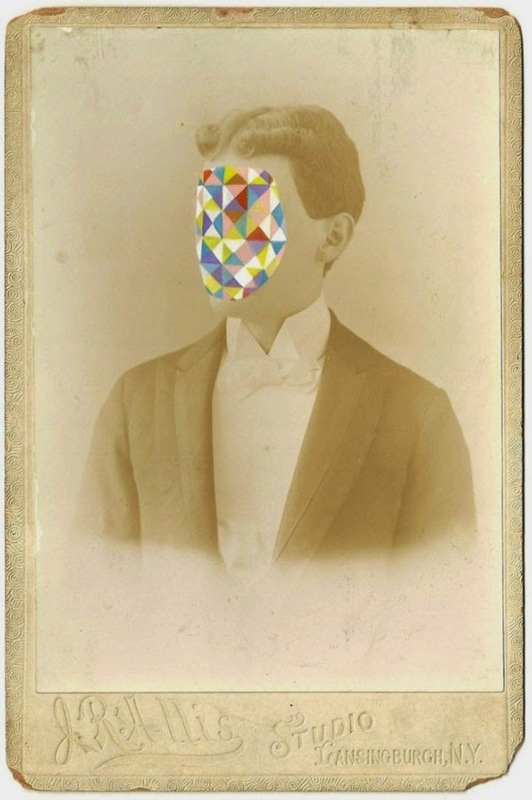 An ongoing series of appropriated 19th Century Victorian cabinet cards painted with inexplicable shapes and patterns such as geometric clouds, bisecting barriers, hair formations, and floral motifs concealing the identity of the figure on the cards and transforming them into unsettling characters of his imagination. 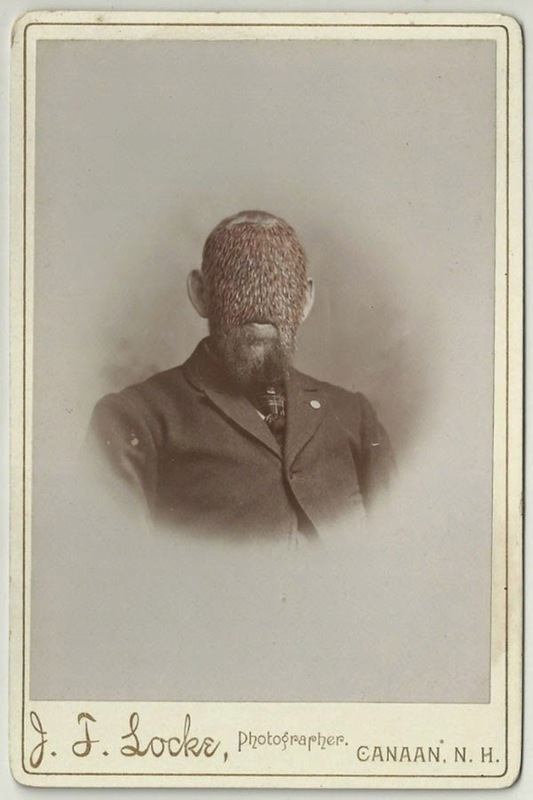 I am fascinated by the process of Conspicuous Invisibility: the simultaneous human desire to both hide and perform. 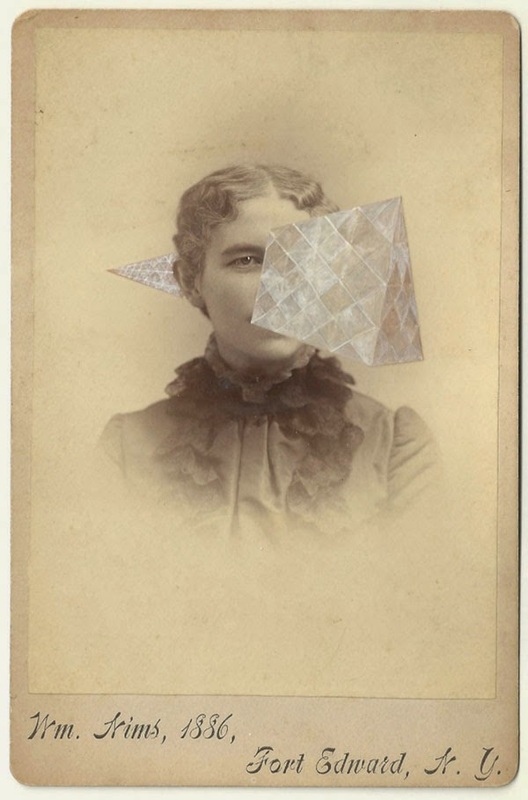 In a visual way, I collect memories, thresholds and hiding places and attempt to re-manufacture them. 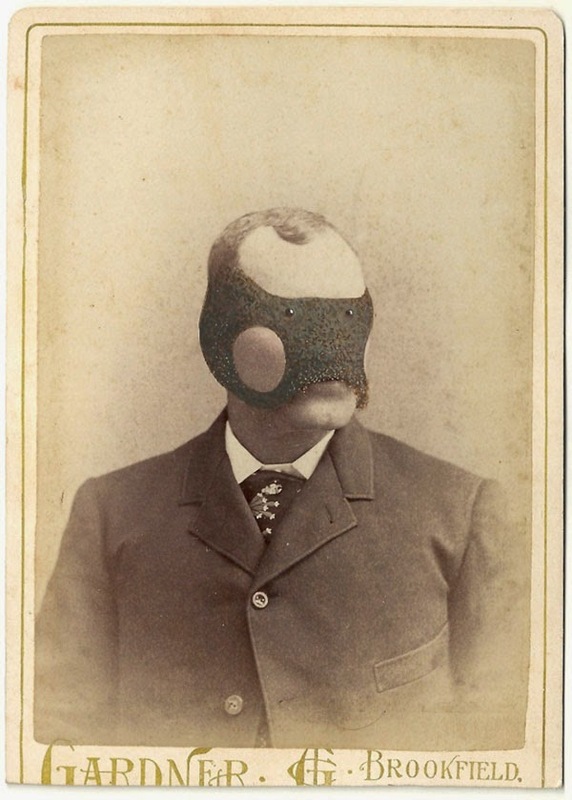 My work expresses my natural inclination towards introversion and the opposition of displaying artwork essentially about hiding. 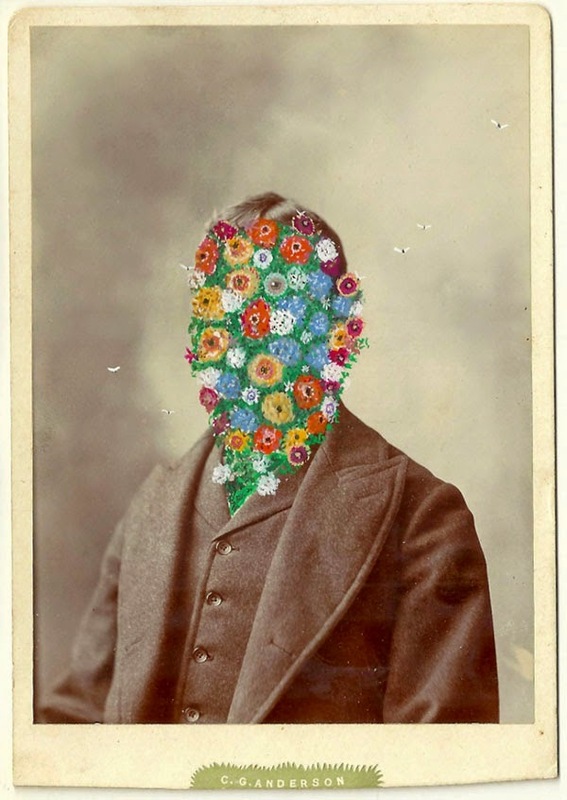 Tom Butler lives and works in London, UK and Portland, Maine.